We believe many people have owned the Canon lens mug. Obviously It’s not enough, because you still lack a Nikon AF-S 24-70mm Lens. Similar with the former, the Nikon AF-S 24-70mm lens isn’t a well working wide angle lens for your professional Nikon DSLR camera. However, It’s completely compatible with your coffee, milk, and various beverages. 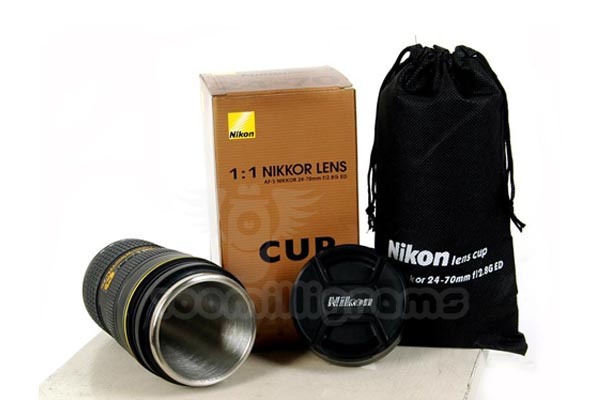 In fact, it’s a mug with lid copied from Nikon AF-S 24-70mm Lens. Of course, the replica just comes with a stainless steel thermos interior instead of 15 elements of lens. Apart from that, the lens-shaped mug ships with a travel bag. 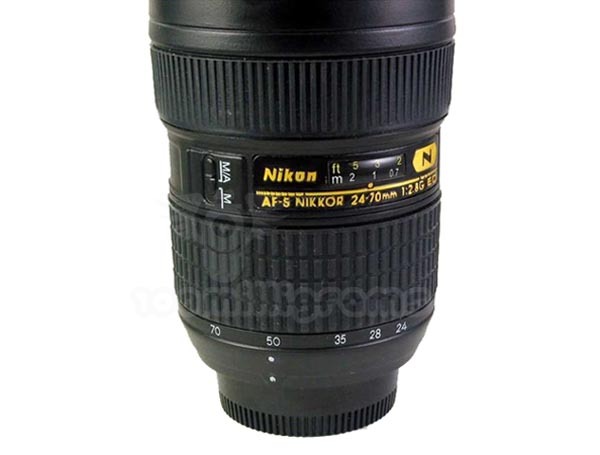 The Nikon AF-S 24-70mm lens mug is priced at $23 USD. If you’re a photographer using Nikon DSLR camera, you should like the unique mug. 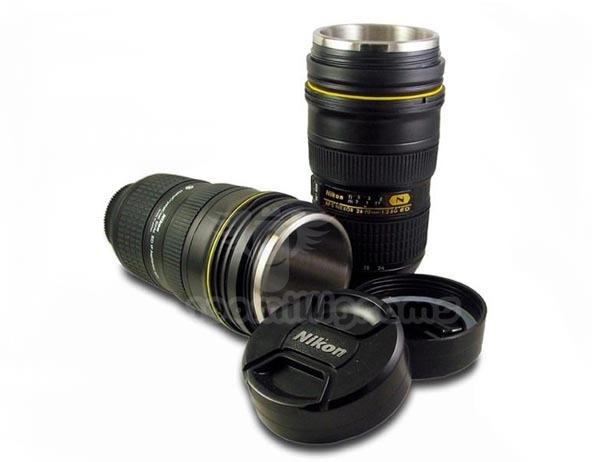 The Nikon lens mug is available at 100milligrams. From were i can get it? I want a websit to delivery for me in kuwait!!! We don’t know about any online stores from Kuwait, but you may like to check those online stores supporting international shipping such as ThinkGeek, Amazon, Phoyojojo, and etc.